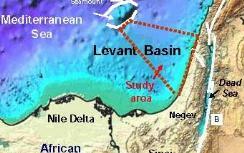 MainAll NewsGood NewsAn 'Oil and Gas Rush' to Israel? An 'Oil and Gas Rush' to Israel? The expert, Fred Zeidman, told Globes website that it is very likely that international firms will join the exploration efforts on Israeli territory, a year after the 'Tamar' and 'Dalit' discoveries in the Mediterranean Sea. One international firm is already involved: Noble Energy, which was the partner of Delek and Isramco in the discoveries. Two of Israel's largest financial groups – Nochi Dankner's IDB group and Ofer Nimrodi's Israel Land Development – have also entered the sector. "It happens all the time," Zeidman said. "We see in the US that the moment a company discovers oil or gas that can be transported, there's a crazy rush to the region by other companies, and that's a function of the size of the reserves found. Around the world, as soon as Noble goes to a place, many other companies follow in its wake. The prospects here are amazing, and I have no doubt that we'll see an economic boom, and a rush of more companies to Israel from overseas following Noble."